Crispy Cheddar Baked Fries are fresh cut wedged red potatoes tossed with cheddar cheese and seasoned bread crumbs. Home baked fries that are cheesy and crunchy on the outside and steamy soft on the inside. How about some baked fries, my friends! 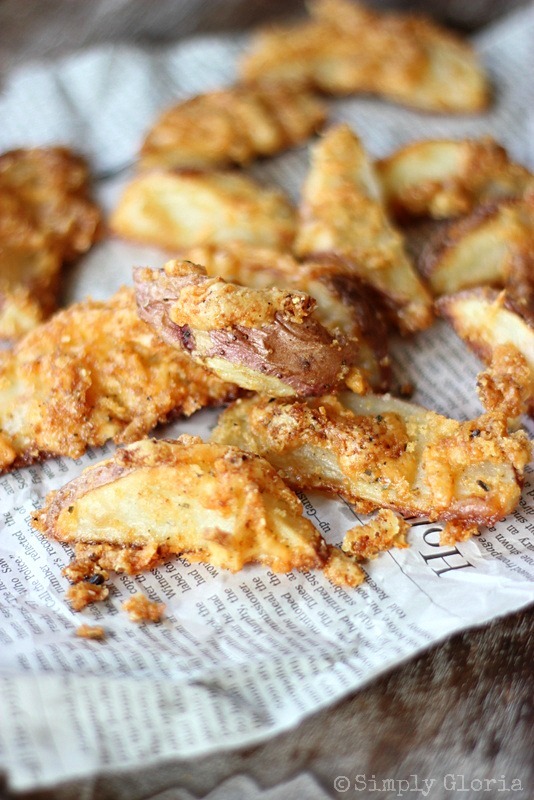 Last year, I shared with you one of my other favorite ways to make baked fries, with Parmesan. 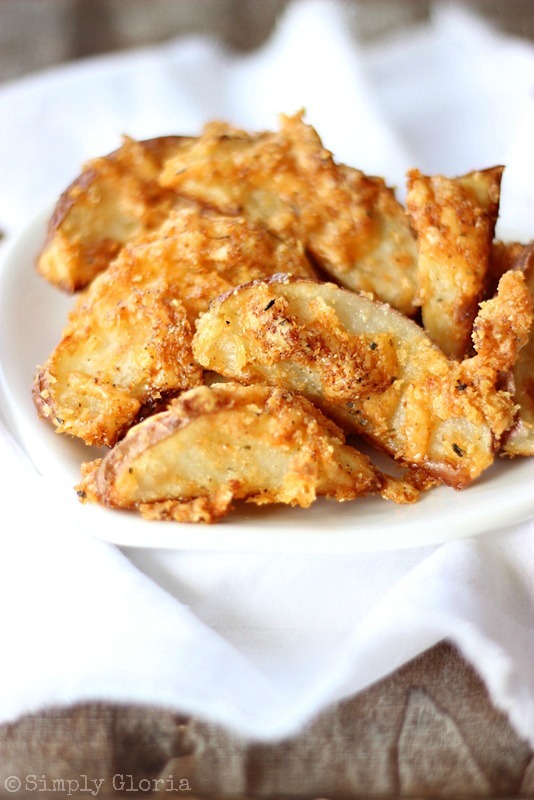 So today, I’m sharing with you how to make these super easy Crispy Cheddar Baked Fries! I know, the great thing about baked fries is the fact they aren’t fried in all that grease and calories, right? My personal reason for always popping out baked fries from the oven is … it’s easy! No need to get out the fryer, or heat up any oil. With these fries, just wash and cut the taters. Drizzle on a little olive oil. Sprinkle on cheddar cheese (or your favorite kind of cheese) and a seasoned bread crumb mixture. Fresh cut wedged red potatoes tossed with cheddar cheese and seasoned bread crumbs. Home baked fries that are cheesy and crunchy on the outside and steamy soft on the inside. 6 medium red potatoes, scrubbed. Leave skin on and cut off the bad parts. 3/4 cup your favorite grated cheese. I used medium cheddar. Put into a large bowl (or large baggie). 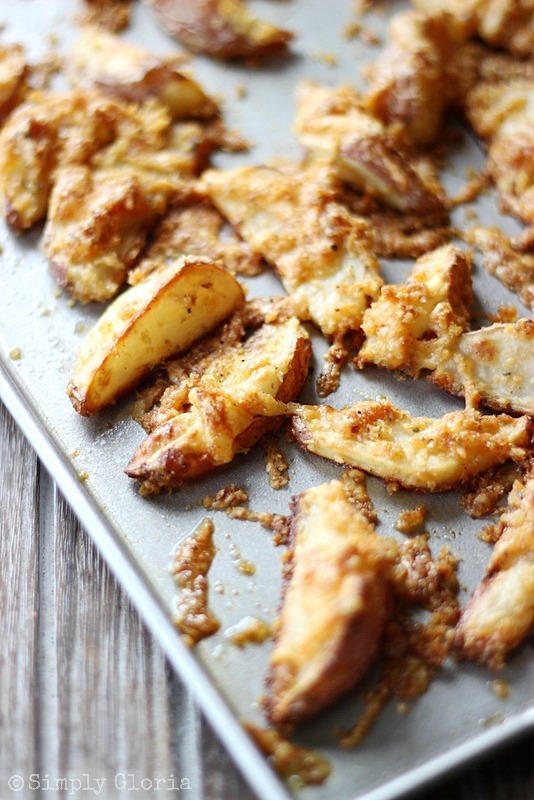 Pour the olive oil, Panko bread crumbs, grated cheese, and seasonings onto the potatoes. Stir (or shake in baggie) until all wedges are coated. Bake for 30 to 40 minutes until golden brown and crispy. To make dipping sauce, stir the mayonnaise until all the lumps are gone. Add the BBQ sauce (or ketchup) and stir. Enjoy! 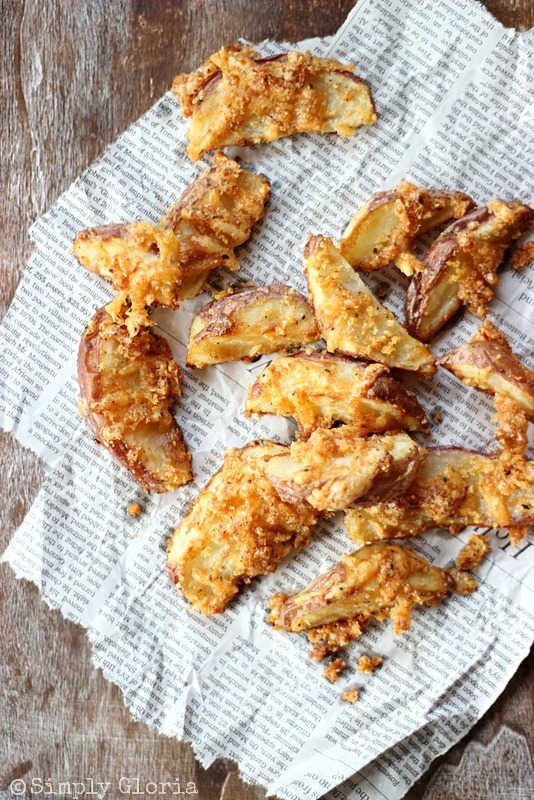 Baking these home cut fries in the oven for 30 minutes will make them just as crispy as if they were fried in the fryer. While these are in the oven, you could whip up an easy dipping sauce. Also know as fry sauce. Growing up here in Idaho/Utah area, we have always had fry sauce with our french fries. In fact, my first trip out to Arkansas with the boys many years ago (before bloggers and Pinterest), we asked for fry sauce at the drive up window. The lady’s face was priceless. I had confused her so terribly. But, then the look on my face was just as confused! How does she NOT know what fry sauce is? That moment, feeling the boys and I were the only ones in Arkansas that has had the experience of the simplicity of ketchup and mayo joining together as a fry sauce, was sad. There’s a lot of different versions of making this kind of fry sauce. But remember, I like it simple… so I keep it simple. 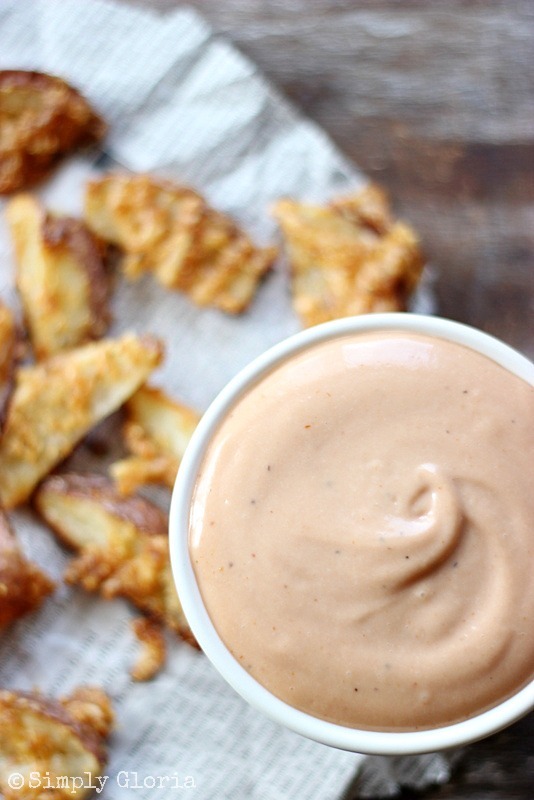 Instead of using ketchup, I love to use BBQ sauce for this fry sauce. It’s very just as easy as getting the fries ready to bake. After stirring the mayonnaise in a small mixing bowl (say bye-bye lumps), add BBQ sauce. As little or as much as you want. Dip these Crispy Cheddar Baked Fries in the BBQ fry sauce and your taste buds will be doing a little dance! If you love dipping your fries in sauce as much as I do, here is another one for the spicy side in you! Pepper Jack Dipping Sauce… it’s a little on the naughty side. But, you’ll know what I mean when you have some! Seeing these is not helping my diet. YUM! Oh man, those crispy cheesy edges look amazing! I could make a meal out of these fries! Gloria, these Cheddar baked fries are calling my name! They look sooo good and I’m loving the BBQ dipping sauce. Thanks for sharing, my friend. Pinning! Stacy, you always make my day! Oh yum, Gloria. I love a great fry! They look delicious!! Thank you so much, Chelsea! Hope you’re enjoying your Tuesday! That’s a 1/2 CUP of Panko – right? These look delicious. I already love the parmessan fries from last year. I use gruyere buzzed up in the processor because it’s lower sodium. Love your blog. Maralyn, you’re so sweet! My typing must have been faster than my eyeballs…. thanks for catching that for me. I might have to try it with gruyere… never knew it was lower in sodium. Thanks bunches! Big hugs to you! I love crispy cheese and on salty fries? Yes please! Paula, I could live off fries on a daily basis. (Sometimes, I do!) Thanks, my friend! Why why didn’t I see this an hour ago? I just made some baked rosemary fries but these look so much better!! I love love the cheddar here. Thanks for my next fries recipes. Baked fries is just the best. Oh Yum! Those sound good, Zainab! Rachel, you are so sweet! 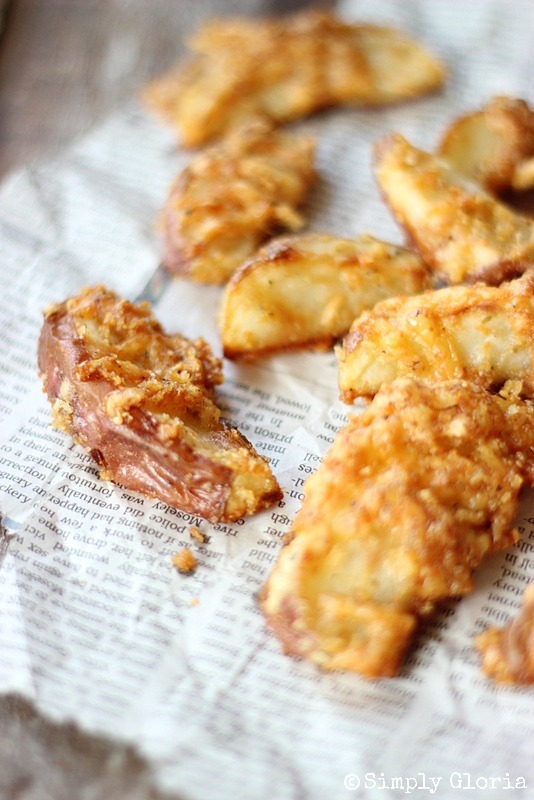 MY MY MY these look fabulously crispy and delicious! I want right now! That sauce…..drooling! Bring on the naughty! Great Pic’s too! You are too funny, girlfriend! Did you see my Chocolate Chip Paradise Pie!! You said it, Michael… easy! Heading over to check out that paradise you got going on! Cindy, I totally agree with you and that smell that lingers in the house. That’s one of the main reasons why I just pop the fries in the oven to do their thing! Hope you’re having an awesome Wednesday! Gloria, potatoes and cheese, oh yes! These look delish! The fry sauce sounds yummy too! I am making these for sure! Thanks so much, Sheila! You’ll love these! Oh my goodness Gloria, those look amazing!! I have to be honest, I have never heard of fry sauce before. 😉 I will definitely give it a try when I try out these fries…Yum!! It’s okay, Lisa… most peeps still don’t know what I’m talking about when I travel. There’s another reason to come to see me over here in these neck of the woods! Mmmm these look soooo delightful! I don’t like frying indoors as I don’t care for the way it makes the house smell, so this is perfect! I can’t wait to get some potatoes! I heart fries especially with cheese!! Yep, they have to have cheese on them… my favorite, too! Thanks, Jaren! I love fries so much, and these look so good! Love the addition of cheddar cheese and fun dipping sauce! Thanks so much Ginnie! You would love these! I am SO adding these to my weekly menu next week Gloria!! I KNOW my kids would go nuts for them! That fry sauce looks out of this world!! Renee, these would be really easy to break out after work. You could even cut them ahead of time and set them in water. Then when you got home, the prep part is pretty much done! It’s been a while since I’ve had baked fries like this but now you’ve given me a craving for them. I’m thinking I’ll go with that pepper jack dip as well… it sounds delicious! Sam, the pepper jack is actually my favorite… more cheese, the merrier! OMGosh these look so yummy. I just know my boys would eat these up, can’t wait to try! My boys eat these up super fast… so yours would really dig these, too! Thanks, Alexis! Jamie, you always make me laugh! SO flippin’ crispy!!! And cheesy. My heart is in love. May and ketchup sounds like the perfect combination to serve with these deliciously crispy baked fries! I love baked fries because they are so easy! I hope you are having a wonderful week, Gloria! Ashley | Spoonful of Flavor recently posted…Vanilla Bean Cake with Strawberry Buttercream & $1,000 Amazon Giveaway! I want these for breakfast!! They look amazing. Shea, I’m like that, too… I love having anything that fits my fancy for breakfast! I’ve been wanting to make fries so this comes at a perfect time! I’ll definitely be making these because they look delicious and super easy. Plus I love that they’re baked. Pinned! Oh boy, these fries look dangerous… In a good way!! 😉 I’ll have to make these soon! Oven fries are the best!! Love the idea of added cheddar! I want this for dinner with a nice grilled burger on my grill 😀 Doesn’t that sound lovely?? Thank you Miss Gloria, enjoy your Monday! Yes yes yes to crispy and cheesy fries that are baked. You totally found my weakness – I would eat fries all the time if I could and add cheddar and panko with all those flavors and I’m totally hooked. Gloria, these look amazing especially with the bbq fry sauce! These look delicious! 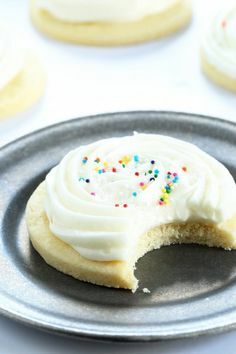 Pinning now and would love for you to link up this recipe at my Tasty Tuesday Recipe Link up Party! Stephanie recently posted…Tasty Tuesday-Ham Casserole and Recipe Party Link-Up! These look so good. I saw them earlier this week, and plan to make them this weekend.